Judea-Samaria residents have established their own freedom, like the State of Israel itself, PM says in pre-Passover message. 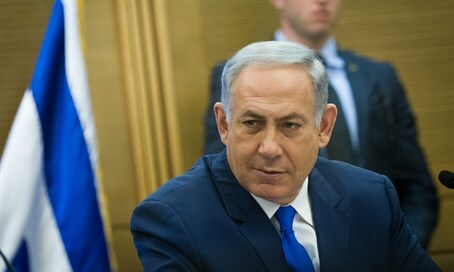 Prime Minister Binyamin Netanyahu released a letter of encouragement to regional council leaders and residents of Judea and Samaria Wednesday, ahead of the upcoming Passover holiday. Netanyahu thanked the residents and the local leaders for standing strong against months of terror attacks, and encouraged Israelis nationwide to hike in the region - as well as across the country - during the weeklong holiday. "Yesha Council leaders, residents and dear friends," he began, "Passover embodies important themes that have marked our national existence for thousands of years. This holiday of freedom celebrates the breaking of cables of slavery." ''Passover is a holiday carries the message of renewal and freshness ... and also the starting point for the long journey that Moses led, in which he returned us to our homeland," he continued. "This reflects the importance of memory and the legacy that pass from generation to generation, and the unity between all parts of the nation." Regarding Judea and Samaria, as well as the State of Israel at large, Netanyahu implied that Israel determined its own freedom. "We established our sovereignty and returned control of our destiny to ourselves," he said. "We build and develop the country without respite." "My friends, I admire your ability to maintain a daily routine despite heightened security in times of tension," Netanyahu wrote, adding, "The IDF fighters and security forces stand guard to protect you all over the country." The letter concludes by addressing the Prime Minister to all citizens of Israel face a personal and unique struggle. "I call upon the citizens of Israel to go out during Passover and to see nature, visit the sites of the Bible and heritage sites scattered across the country."